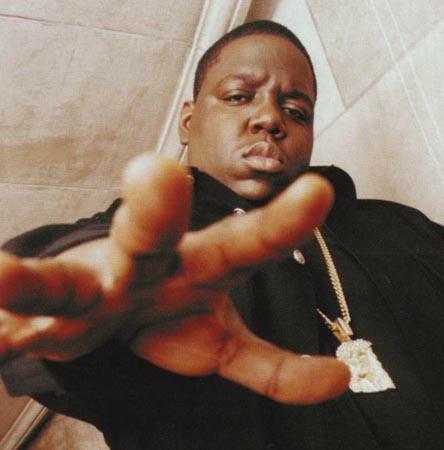 Fourteen years ago today rapper Biggie Smalls, a.k.a. The Notorious B.I.G, a.k.a. Christopher Wallace, was shot and killed while in L.A. Hailed as one of the greatest rappers of all time, if not the greatest of all time, Biggie Smalls was loved by his fans at the height of his popularity and is still remembered fondly to this day. At only 24 years of age, Biggie Smalls’ death was nothing short of tragic. Many believe Biggie Smalls’ death was revenge for the death of fellow rapper Tupac Shakur in Las Vegas. While Biggie and Tupac were friends and even toured together when Biggie was getting his start, he would open shows for Tupac, their relationship soured when Tupac was robbed and shot at a recording studio. Tupac recovered from his attack, but blamed Biggie for the events that unfolded, which lead to one of the deadliest eras in hip hop history. This battle of “East vs West” culminated when Biggie Smalls was gunned down outside of the Soul Train Music Awards in Los Angeles. Even after his tragic death, Biggie Smalls’ music is still played around the country today, and fans remember his demise each year on March 9th.